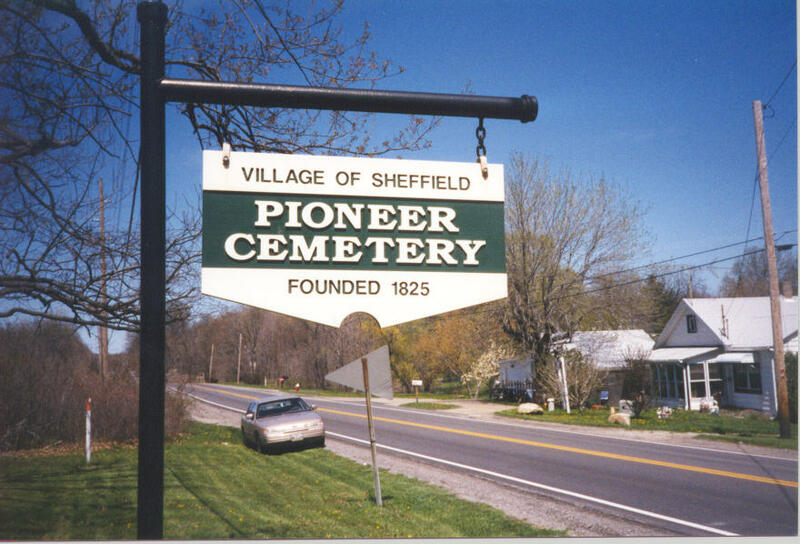 The Day - Root Cemetery is located on East River Road in Sheffield Village, Ohio. It is a 1/4 mile north of French Creek Road on the west side. The family cemetery is no longer used but maintained by the Village. 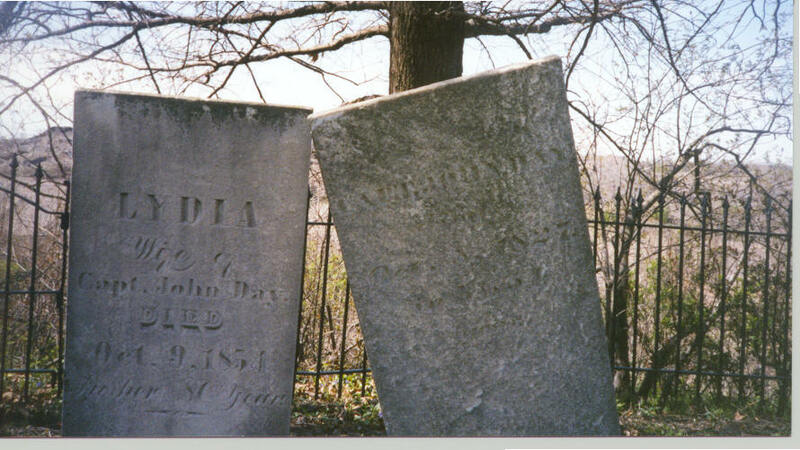 The oldest grave is of Rhoda Maria Day who died on Oct. 20, 1825, aged 27 years. The above photo is of the sign along East River Road. About an 1/8 of a mile north is the Historic Burrell Homestead. 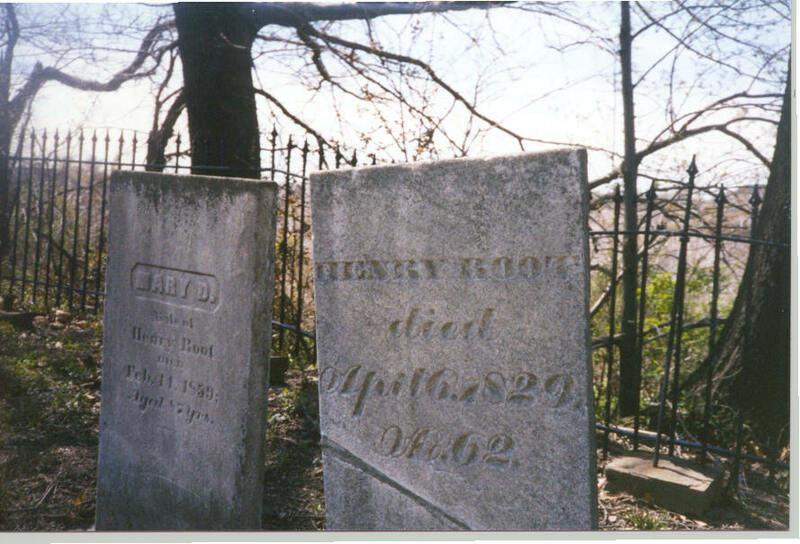 The photo below is of Henry Root's grave. He passed away on Apr. 6th 1829, age 62 yrs. Next to him is his wife's Mary's, Grave. She passed away on Feb. 14, 1858, age 87yrs The bottom phot is of the resting place of Capt. John Day and his wife Lydia. He passed away on Oct 8th, 1827, at the age of 54. Lydia passed away on Oct 9, 1854, at the age of 80. On Febuary 17, 2000, a flag was placed on Capt. Day's grave to honor his service in the War of 1812.